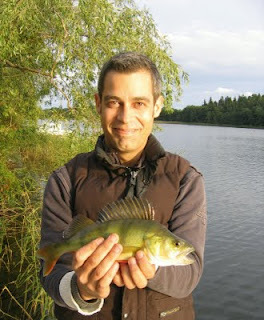 Ed and Perch; the bugger weighed in at 15oz.! 1lb. 20z. 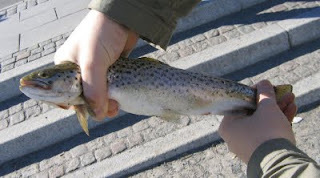 Seatrout on Legered worm for Simon in the afternoon sun! Just a couple of hours at Strömmen today in the afternoon, the sun beating down. 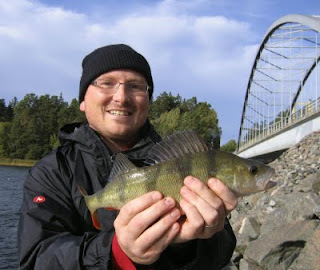 Fishing was excellent though, lots of bites and plenty of small Perch and a few nice Roach too. 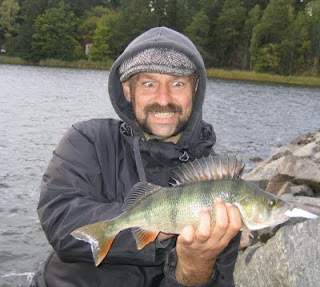 A Perch of 1lb 2oz. (2 Pts.) 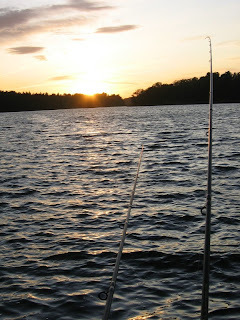 fell to my rod before Simon stole the show with a lovely Seatrout of the same weight, a 3 point fish. I will be doing a night session here as soon as I have the time off! 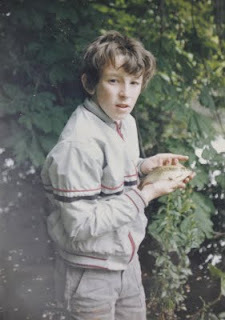 Me with a Tench that weighed over 5lb. Class photograph dug up whilst I was home in Dublin. 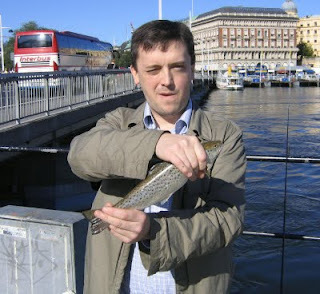 Early Days fishing for Rudd in Dublin. Laugh it up boys! 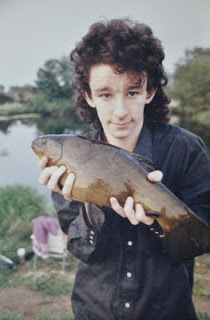 Couple of cracking old photos for you lot! Any slagging and I won't lend any of you any more livebait or worms!